A huge component of every relationship is time. How these two people manage their time plays an important role in keeping the spark of their love alive. If one person loses time for the other, you can expect the relationship to end at one point or another. On the other hand, showering a proper amount of time on your significant other will surely keep the bond between you two stronger with each day that passes. It isn’t about the price tags of the gifts you buy, the places you go to, or the people you both know. It’s about how you make time for this person out of all the things you need to do in a single day. And since time is very important, so is a couple’s engagement photo session. All great photographers know that timing is essential in capturing the best photos possible. 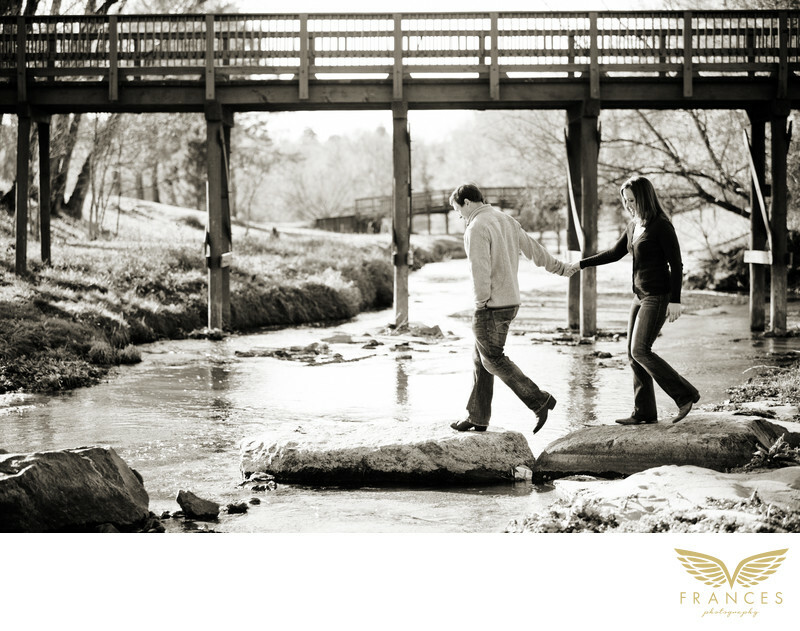 Even something as simple as crossing a stream can be a masterpiece of elegance, beauty, and love. Your engagement photographers should be experienced in anticipating these moments so they won’t be lost in time and you’ll end up regretting not having them. Once your photographer has achieved this feat, you’ll be rewarded with a timeless picture that you both will appreciate.